In the coming months their parents will have to teach them a lot. The two young foxes don’t always pay attention. 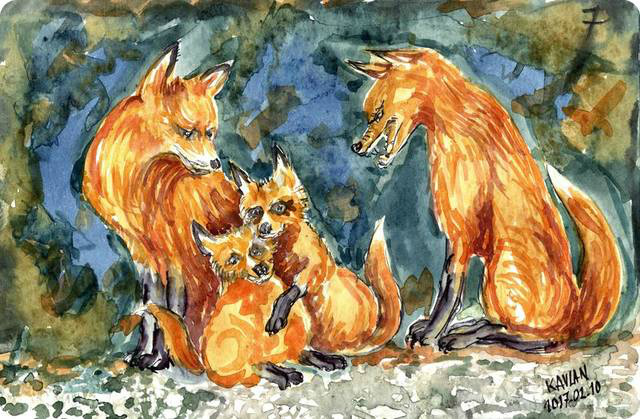 Sometimes the father fox has to scold the little devils.